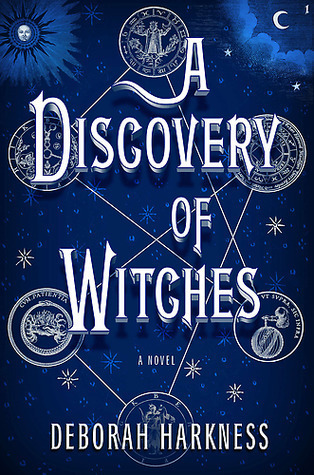 So I recently just read all of The Selection novellas by Kiera Cass, and rather than do separate reviews for them, I’m just going to combine them into one review here. There’s a few spoilery kind of things in the reviews, just so you’re aware. Don’t miss this thrilling 64-page original novella set in the world of the New York Times bestselling novel The Selection. Also features a teaser to The Elite, Kiera Cass’s hotly anticipated sequel to The Selection. In this novella, we got to see part of The Selection from the viewpoint of Prince Maxon, and I was actually excited to read from his perspective because I liked his character when I read the first book. In this we saw him dealing with his emotions before the Selection process and I think that he stuck true to his character: he was shy, but confident, and tried to make the right decisions. And then there was this girl from France who just kind of made a situation in the novella seem kind of abusive and I was like, “Um, yeah no.” Trying to make Maxon think he was in love with her and he just didn’t know it? Yeah, no thanks. She was nice up until that point and then BAM. Then we saw him during his first encounter with America and a few more after, and I really enjoyed those scenes, being able to get his thoughts on what had just happened and all of that. There wasn’t much to go on here, but it was nice nonetheless to see from Maxon’s point of view. 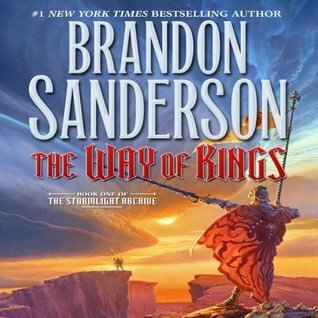 If you’re a fan of the series, give this a read! Don’t miss this digital original novella set in the captivating world of Kiera Cass’s #1 New York Times bestselling Selection trilogy. This brand new 64-page story begins just after the group of Selected girls is narrowed down to the Elite and is told from Aspen’s point of view. The Guard also features a teaser to The One, the thrilling conclusion to The Selection trilogy. So when I originally started this I thought I was going to read a bit more from Aspen’s point of view before he became a guard, and maybe his journey into it, or something like that. But this novella was about his time in the palace when America is going through her Selection and the various times they meet in The Elite. Frankly, I’m not a huge fan of Aspen, so I had to push through this one. I found him kind of annoying like I did in the series, but it was still good to get a perspective from him. He was confident in his role as a guard, but a lot of his thoughts were only about America. When he had a talk with Lucy, I was hoping for something else to happen, but he just went right back to thinking of America, which is fine since he was still infatuated with her. Overall, I thought him to be a little too dependent on America. He tried so hard to show he still cared, but I didn’t really get that from him. I got a desperate boy trying to win back the heart of the girl he made brokenhearted. The plot of the novella did follow some different sequences, though, and we did get to see him in action a little bit, which was cool. I wanted to know more about the rebels and see more fights, but alas, it didn’t happen. This was actually my favorite Selection novella and I wish there had been more! This novella followed Queen Amberly when she was in the Selection back in the day. I found her to be reserved and polite, knowing a little bit more strife than some of the other girls that were there. I think that it was kind of adorable that she had been in love with (then) Prince Clarkson ever since she was a little girl from having seen him on TV and whatnot and the fact that that little girl crush continued on into her Selection process. It was nice to see Clarkson take an interest in her and show some concern in his own way for her because of her medical condition. From there, their subtle romance took off and I actually thought that it was really kind of cute and enticing. The plot itself showed a glimpse as to why Clarkson became the king he was due to his parents, and it showed how Amberly handled that situation. The two seemed kind of made for each other, which was sweet. Definitely give this novella a go if you’re a fan of the series. While America Singer’s heart was torn between Aspen and Prince Maxon, her friend Marlee knew exactly what she wanted—and paid the price. Revisit the captivating world of Kiera Cass’s #1 New York Times bestselling Selection series in this digital original novella. Told from Marlee’s point of view, this all-new 64-page story returns to the fateful Halloween when Marlee and Carter were discovered, and reveals how that night—and Prince Maxon—changed their lives forever. This novella took place during the events in The One and I actually really enjoyed this novella, too. It follows Marlee during the time she’s going to be beaten for treason, and it also goes into flashbacks about her and Carter first meeting and the times in between to their first kiss and beyond. I was super suspicious of Marlee at the beginning of the series, but as it progressed I saw that she was really just a genuine friend, and after her little rendezvous with Carter, it kind of really showed that her heart was elsewhere. This novella was divided into two parts, and I was honestly hoping the second part had more to do with a little bit into the future of their lives, but it was during one of the attacks from the rebels. As with the other novellas, I just wished for more because I wanted to see how they’d act and react in certain situations. I really liked the characters explored in this novella, and though I wish the plot in the second half had been a little different, it was still good nonetheless, though there were some parts where I questioned why something was funny or why something had to happen the way it did. Either way, check this novella out if you enjoyed the series. *All novellas were read in ebook format on my nook Simple Touch. 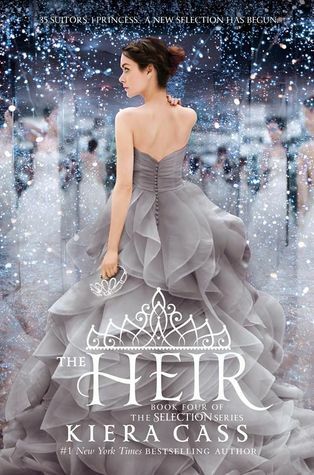 “The Heir” by Kiera Cass is the story of Princess Eadlyn, the heir to Illea’s throne. She was the first child born – seven minutes separating her and her brother from switching positions – and she feels she is one of the most powerful people in the world. But there is unrest in Illea even though the castes have been done away with and it’s really starting to take a toll on her father, King Maxon. So her parents come up with the idea to host another Selection – one for Eadlyn – and she’s hesitant to do it at first, not wanting to fall in love with anyone and wanting to do everything herself. But she agrees to it with some conditions and is soon thrust into her own Selection. Hey, I’m all for women power and doing things on their own, but man I found the way Eadlyn to do it extremely frustrating. Eadlyn, being in the place for the heir of Illea, has a lot pressure put on her to learn policies and diplomacy and many other things a queen would have to learn to do when she ascends the throne. So she’s kind of a workaholic in a way, wanting to focus more on work than building relationships. When the Selection was initially presented to her, she acted childish and threw a bit of a tantrum. Many times throughout the book I found her to be frustrating, manipulative, and selfish. During the times she let her guard down and become vulnerable were the times I actually enjoyed reading. The fact that she had a wall up – and realized it – was frustrating, yes, but the fact that she didn’t do anything about it was probably the most frustrating of all. She’d realize that she’d let too much slip or someone would ask the wrong question and she’d clam up, instantly shunning them. I didn’t think it was right, in a way. But she is the future queen and sees herself as above others. At least, that’s the impression I got from her. Ahren, her twin brother, was much more likable and I kind of wanted to see more of him throughout the book. He was funny and charismatic, much like his father, Maxon. Maybe that’s why I liked him more. He cares for Eadlyn deeply and would do anything for her, but even he has his limits. Maxon and America are different from their stories because they’ve grown up and matured and it’s nice to see how they have matured in their own ways. I definitely felt motherly affection from America and the strain of ruling from Maxon. Kile: he’s lived in the palace his whole life as Marlee’s son, and he and Eadlyn have been at each other’s throats for just as long. But once he became a suitor and they started opening up to each other, I was rooting for him. Henri: his first language is Finnish, so he has to have a translator – Erik – around him in order to help communicate. But he’s super sweet and nice and caring and he makes me smile. Hale: he’s just so polite and kind and I love him to bits. He says he’s going to prove to Eadlyn every day something new to win her over, and he does do something everyday to try to show her what she means to him. Fox: he was kind of in the background through most of the book, but I think that they shared a great moment and I think he’s actually really kind (he kind of reminds me of the situations America came from). The others I don’t really care about, sorry to say. But it’ll obviously get down to a few of them, and I’m hoping she picks well (though I think I know who will be picked). The plot was similar to the original trilogy, but it was different in how staged a lot of it was and how Eadlyn was doing it just to comply and make her parents and people happy. When things continually go wrong and she sees the errors, but dismisses them, I’m glad that someone does eventually kind of make an obvious statement, but… then she kind of brushes that off too. She’s just really frustrating and doesn’t really reflect on herself and her actions. Anyway, yes, I do recommend this if you’ve read the Selection trilogy. It’s a good continuation and yes, I am looking forward to the next book despite all of the frustrating moments in this one. I rated this book 3.5/5 stars. 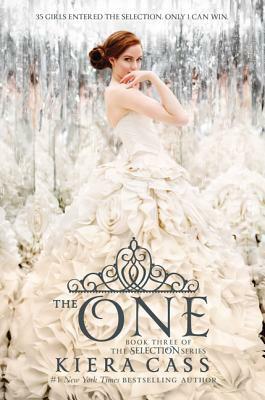 “The One” by Kiera Cass is the third book in the Selection series. It’s the conclusion to Maxon’s and America’s story and oh my, did I love it. Obviously since this is the third book there will be spoilers so if you haven’t read the first two books, or checked out my reviews for them here and here, please do. Thirty-five girls entered the Selection in the hopes of winning Prince Maxon’s heart. Six girls were left. Only one can be crowned. In this book I believe that America grew so much as a person and her character really shined throughout. She made sacrifices and lost a lot in this novel, but she always came out strong in the end with her head held high. I think that she really grew as a person in this book not only for those losses and sacrifices, but that she finally realized what she wanted, how strong her love for Maxon was, and just what she was willing to do not only for him, but for Illea as well. Throughout this book America has to make tough decisions: can she send a practically innocent man to jail for the rest of his life? Can she fully give up her love for Aspen? Can she admit, not only to herself, but to Maxon that she loves him? Can she be the new princess of Illea? In many ways the way the plot lead up to her making the decisions based on those situations definitely proved to show her character. Not only did we learn more about the Northerners and their support of a change in the way the government is run, but we got to learn that America’s love for the people and how well she relates to them goes. She spared a thief who committed a petty crime for his family his life in prison by giving away jewels that Maxon had given to her as a gift, as well as the necklace her father had given her. She took all of the king’s threats in stride, though they scared her whenever they were delivered, but she never backed down. She allowed some girl who was an Eight on the street to work in the palace, asking Maxon for permission for her to do so, and he allowed it. Overall I think America did pretty well in this book and I am so happy for her. Maxon grew, too, I think, though I was upset that if he loved America so much that I didn’t understand why he just couldn’t say it. If he had before and she had sooner, they could have been happier a lot earlier, but I get that he was conflicted and couldn’t really understand her feelings. Though he was kind of a jerk a few times, he overall impressed me with how mature he was and how much he had to go through. The beatings from his father, learning about that, was probably one of the hardest. I really shouldn’t be surprised, but I was when I read about it. I think it made him a better man, though, because he stood up against his father, never backing down. His character really showed in this book, as well, and I’m glad that he grew. Aspen grew, too, and he grew away from America. Both of them did, actually, in their own way and time. I’m glad he found happiness in the end and that he was always the protector. Now, as for the plot, I enjoyed it. There wasn’t as much drama, in terms of the relationships and everything, but there was drama via the attacks and destruction at the palace. We got to learn more about Celeste and I really came to like her in the end. In fact, all four of the remaining Elite I came to like in their own way. We got to learn more about the Northerners and how they operate, as well as their goals, and I thought that they were respectable and kind. Everything sort of became intense, in a way, especially toward the end. I was so peeved at Maxon for not giving America time to explain certain situations, but after that I think he redeemed himself. There are a few things I wish had been in the book, and a few things I wished hadn’t happened, but overall I am pleased with this third installment. It didn’t disappoint. Really, overall, I highly enjoyed this book. I was mad, sad, super happy, and overall I loved it. I rate this book 5/5 stars and highly recommend it. Overall, this trilogy (since it originally was a trilogy) gets a rating of 4.5/5 stars. 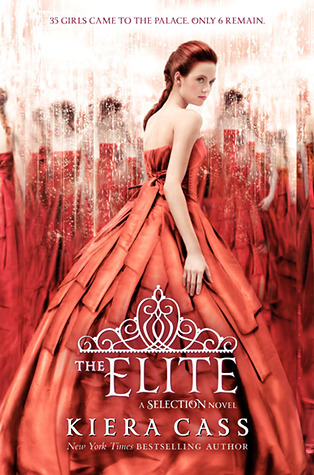 “The Elite” by Kiera Cass is the second book in the Selection series. Now, if you haven’t read “The Selection,” I suggest you read it first (and my review) before checking out this review of the second book because there will obviously be some spoilers in here. So, America is now part of the last six girls that make up the Elite. Despite all odds, Maxon’s feelings for her have only grown and he’s kept her in the competition – not that she’s not happy about that. But now the competition is growing even fiercer between the girls as they all try to win over the prince. But not only is America trying to beat the girls in the Selection, but she’s also trying to figure out where her own heart lies between the two boys she loves: the prince, Maxon, and her first love, Aspen, who is now a guard for the royal family. In this book there was a lot of drama that went on between America and Maxon, as well as with her and Aspen. I’m actually kind of surprised that no one’s discovered her relationship with Aspen yet. Maybe it’ll happen in the third book. But anyway. I felt that the drama between each of the couples in their respective interactions was… actually, kind of annoying. I was having a really hard time liking America in this one when she was interacting with either boy. I am totally team Maxon, so when she’s having intimate moments with Aspen it makes me want to slap her. But then Maxon is keeping secrets from her (as she’s keeping some from him, but you know how it goes) and it makes me not sure of whom she can trust. As for some other side content, I was actually happily surprised when Maxon showed America that secret library with the diaries of the original king of Illea. The entries that were written were definitely of a man corrupted by power and I could see where that power would branch off down the line to Maxon’s father (poor Maxon!). I hope that the diaries play more of a role in the third book, but we’ll see. I grew to like the Queen more, as well as Marlee. I didn’t trust her for the longest time but now I see she was just having her own love story on the side with a guard. I was so stunned about what happened to her that my jaw literally dropped open. Poor girl. I don’t know how I feel about Kriss, who is now America’s biggest competition. I still don’t like Celeste at all. The others kind of fade into the background and don’t really matter. As for Maxon himself, why the hell did he act so weirdly? Okay, teenage hormones are seriously a thing, but man I was mad at him more in this book than the last. I’m sure he’ll redeem himself, but still. America was… I don’t know, a lot more frustrating. The constant back and forth with her feelings for the boys, as well as for staying in the palace, it was just all very frustrating. I did like her when she wasn’t interacting with the boys… So yeah, you can tell how much I don’t like this love triangle. As far as a sequel goes, it was good, but I think it still could have been better. Though it did push the plot along and I am excited for the next book in the series. I have mixed feelings, but most of my feelings are positive. Overall, I rated this book with 4/5 stars and recommend it.